A few years back our old Honda Civic went to heaven. It had a terminal case of transmissionitis. In September of 2011 we bought our new car. Our Civic had been struggling for a while so we had been saving money knowing that sooner or later we would need a new car. Because of that we had the $17,000 in cash ready to purchase the car outright. 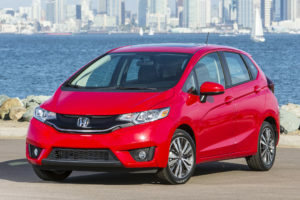 However, Honda offered a fairly generous financing program at 0.9% interest. That’s a super low rate so it was very tempting. There’s always the nagging idea that you shouldn’t borrow money if you don’t have to, but as low as it was we figured we had to consider it. Pay for the car in cash. Finance the car at 0.9% for 6 years and then invest the cash. As you can guess from the tone of this post, we went with option 2. Our plan was to finance the car, and then invest that $17,000 in a stock mutual fund (VTSMX). Every month when a payment was due we could sell a few shares of the mutual fund. At the end of 6 years we would either end up ahead, making this a really smart move, or behind making this a really dumb move. A 6-year loan for $17,000 at 0.9% interest requires a monthly payment of $243. Back in September of 2011 the S&P 500 was at 1,131 (today it’s at 2,471). Over the course of those 6 years, the market mostly went up, but it certainly had some rough moments. 2012 and 2013 were really good years for the stock market so I felt like I was a bit of a genius for doing this. Then in 2015 stocks fell plus there were a few of those really crazy months like January 2016, when the market was in total freefall, and I felt like I was an idiot. Stocks recovered in 2016 and then really took off after Trump’s election. Needless to say, there were a lot of ups and down. The smart thing would have been to just ignore the daily/weekly/monthly variations in the stock market and not get stressed, but that’s not in my character. I did look at it every day, and I did get totally stressed out. Foxy Lady and I stayed the course, and this month we sent our last check in to Honda. Now we own that $17,000 car outright, the same way we would have had we paid cash for it 6 years ago. However, the account we were using for all this still has about $16,400 of mutual funds in it. That’s awesome. We bought a $17,000 car, but we ended up with a car and $16,400!!! In a way the car was very nearly free. We started this process with $17,000 and no car. We ended this process with $16,400 and a car. Were we lucky or good? Our story had a happy ending, which begs the question how likely does it turn out this way. The six years from Sep-11 to Aug-17 were a good run for stocks but by no means the best. Going back to 1950 when the S&P 500 started, you can see how things stack up. There are a couple important points. First, success isn’t guaranteed here. 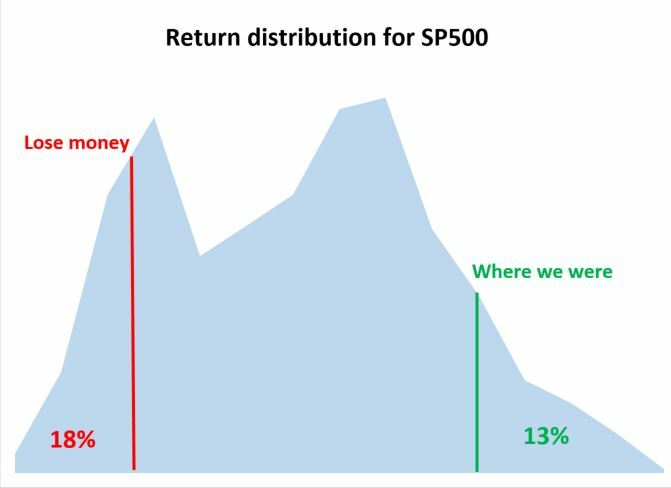 You would lose money (have to pay more than your original $17,000) about 18% of the time. We know that over the long-term stock almost always do well. This is a bit trickier because when you start this, you invest all your money at one time, so you don’t benefit from dollar cost averaging. Had you invested right before a huge market downturn (think late 1960s to early 1970s or Mar 2001 or Aug 2008) that would really be awful timing. Still, you come out on top 82% of the time, so those are pretty good odds. Second, our timing was pretty good, but certainly not the best. We would have done better 13% of the time. The absolute best timing would have been if we did this scenario starting in September 1994 and ending August 2000. Basically, that timed the investment just before the internet boom of the 1990s kicked off, averaging about a 24% each year. If you’re curious, with that timing you would have ended up with a car plus about $25,000. We can’t be lucky all the time but you don’t really need to be either. You can look at a more average performance, let’s say starting in September 2002 and ending in August 2008. You would have ended up with a car and $8,000, so basically you got a new car at a 50% discount. The other really important piece to this is the really low interest rate we were charged. 0.9% is not a normal interest rate. As we discussed here about debt, sometimes it’s a good thing to take on debt. 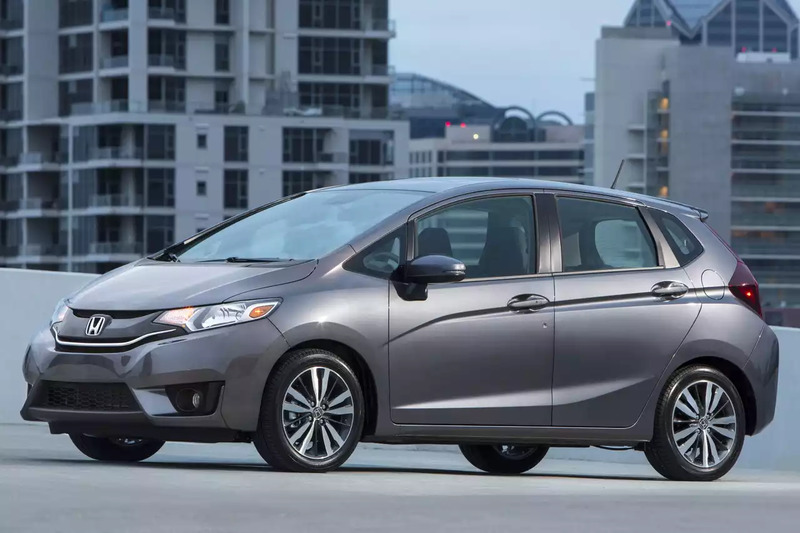 Honda gives their car buyers an artificially low interest rate as an inducement to try to increase sales. It could just as easily be cash back or lowering the cost of the car. As it is they decided to give a really low interest rate. Some car buyers would need to finance their purchase no matter what, so that 0.9% was just a bluebird. Others, like us, had the choice: do we pay in cash or finance. Had we paid in cash, we would have basically been leaving this sweet perk from Honda on the table. We can pretty easily see the impact of using a more normal interest rate on our experience. At 0.9% we ended up with the car and $16,400. However, if we use 5%, then we still come out ahead, but not as much. Instead of $16,400 we ended with $13,000. Actually, I was a bit surprised that the impact wasn’t greater, but that’s why you have spreadsheets, right? 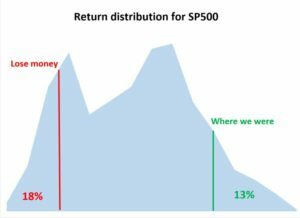 When all is said and done, hopefully this illustrates the point that being smart with investing, and really understanding what is likely to happen based on history, can really be lucrative. Obviously this will apply to things like your 401k and IRA, but it also applies in more unexpected places like buying a car. Amazing. Fortune indeed favors the brave. These real life stories containing personal finance insights are great — please keep them coming. One question — did you factor in the capital gains tax paid/payable from the investment income tied to the original $17K? Just wondering if the $16,400 may be slightly inflated if you account for the tax liability. Definitely taxes play a part. Taxes get very complicated though, so that’s why I left it out. You’d mostly have capital gains which have a rate of 0% for lower tax brackets and 15%-20% for higher tax brackets. So to your point, you should probably deduct 15% to make it more accurate.